When it comes to National Parks I’m a fan girl. They are my favorite kind of vacation and I’m such a geek about it that I actually own a National Park Passport book that I get stamped at every park I visit. 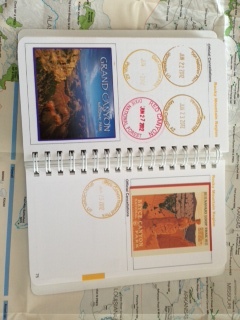 The goal is to buckle into your travel shoes, head out, and get stamped at every National Park on the register. It’s a lofty ambition because I’ve read there’s less than 20 verified passport books to actually reach that goal. Why? Because it’s not easy. There are 420 national sites and counting! It’s not just well-known and well-traveled parks, there are historical sites, battlefields, and ancient Indian grounds. There’s National Recreation Areas, National Lakeshores and Seashores, and National Monuments like the Statue of Liberty or Independence Hall. And not all are located in the USA. They’re also in American Territories like Guam, Puerto Rico, Samoa, and the Virgin Islands. America’s parks highlight the best of our country. The most spectacular, pristine, awe-inspiring splendor preserved within our borders and beyond. Their importance cannot be overstated. They are our playground, nature at it’s finest and a place to escape the stresses of modern day life. We reap the benefit now, but even more important … as population grows and development sprawls, future generations will be able to enjoy the same unspoiled beauty and historical landmarks.